In order to get started, go to the Feed The Beast website and download the Twitch App or the FTB (Legacy) launcher. Run the downloaded setup file, which will begin the installation process after you have accepted the EULA. The Client installer may have to update your .NET framework – it will do so automatically. The client may need to undergo an update when logging in for the first time. It will automatically restart and install the latest update for you. 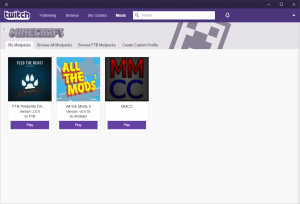 Shortcuts will place a Twitch shortcut on your desktop Please note that you will need a Twitch.com account in order to use the Twitch App. You can register for a free account on Twitch.tv or on the Client login page. 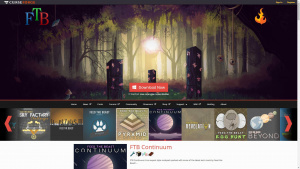 This page was last modified on 13 April 2019, at 02:34.